A Tuckerman man faces drug charges following a traffic stop last week. 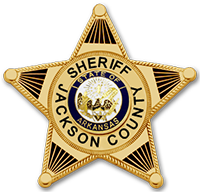 According to Sheriff David Lucas, the traffic stop was conducted on Hwy 18 at the Exxon Travel Center by Arkansas State Police Trooper Robert J. Stewart on Friday, July 19, at 5:01 p.m.
During the stop, it was determined that Garret Blain Ussery, 19, had a warrant. While searching the subject prior to placing him in custody, Trooper Stewart found three baggies of marijuana in a pocket. Another bag of marijuana, three clear empty plastic baggies, a glass pipe and a bag of crystal methamphetamine were located in the passenger compartment of the vehicle where Ussery was sitting. Ussery appeared before Judge Barbara A. Griffin for bond hearing on charges of Possession of Controlled Substance – Methamphetamine, Possession of Drug Paraphernalia with Intent to Use, and Possession of Marijuana with Intent to Deliver on Monday, July 22 where his bond was set at $5,000. Garret Blain Ussery will appear in Jackson County Circuit Court on Aug. 7 at 9 a.m.